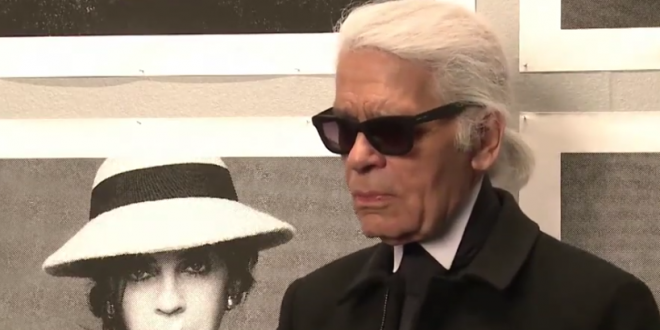 Fashion Icon Karl Lagerfeld Dies At Age 85 [VIDEO] - Joe.My.God. The German fashion designer Karl Lagerfeld has died at the age of 85, sources close to Chanel have said. Lagerfeld, the fashion house’s artistic director, missed its haute couture show in Paris in January, fuelling speculation about his health. He began his career as an assistant to Pierre Balmain in 1955 and joined Chanel in 1983, spending a record-breaking 36 years at the house. Sporting dark suits, white, ponytailed hair and tinted sunglasses in his later years that made him instantly recognisable, an irreverent wit was also part of a carefully crafted persona.